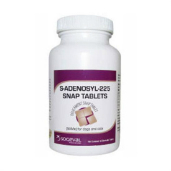 Shop for liver health supplements for dogs at VetDepot.com. "Treatment during earlier stages of liver disease can restore some or all liver function because the liver is able to heal itself." In early stages of liver disease, symptoms are often vague and may be mistaken for signs of other conditions. Some dogs may experience reduced appetite, intermittent diarrhea and vomiting, and/or weight loss. Fever may or may not be present, and increased thirst and urination may lead some dog owners to worry their pet is diabetic or has an infection. It is these symptoms that typically cause pet owners to seek veterinary attention. Early liver disease causes swelling and enlargement of the liver. Depending on the underlying cause, this process may take place over months or years. As the disease continues to progress, liver cells die in increasing numbers and are replaced by scar tissue. The formation of scar tissue, or cirrhosis, causes the liver to become firm and rubbery. Cirrhosis is not reversible. Once the liver begins to fail, additional symptoms become obvious. Jaundice and spontaneous bleeding are the most noticeable, but hepatic encephalopathy, ascites, and edema in the lower limbs also occur at this time. 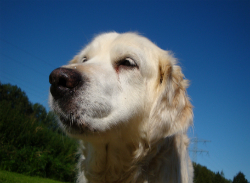 Dogs showing symptoms of liver failure require immediate veterinary attention. Treatment during earlier stages of liver disease can restore some or all liver function because the liver is able to heal itself. In fact, 80 percent of all cells in the liver must die before liver failure takes place. This makes early diagnosis and treatment of the underlying cause of liver failure essential to preventing death. Once the underlying cause of your dog's liver dysfunction is uncovered and the extent of liver damage is determined, treatment with dietary changes, surgery, medications, and/or supplements begins. Surgery helps by removing tumors or clearing blockages, and dietary changes are an essential part of improving overall liver health and preventing liver strain. Because some dogs with liver disease experience severely reduced appetite, supplemental or forced nutrition may be necessary to ensure adequate intake of calories, vitamins, and minerals. Most dogs with liver disease will require some form of medication at some point during their illness. Antibiotics helps treat and prevent infections, diuretics reduce fluid retention, and corticosteroids can improve inflammation and scarring in the liver. Supplements and diet also play an important role in liver health, and your dog may benefit from a daily multi-vitamin or supplemental vitamin K, vitamin E, milk thistle, and/or S-adenosylmethionine (SAMe). 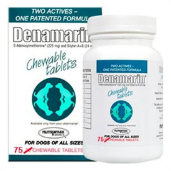 Denamarin is another popular liver supplement for dogs that contains both S-Adenosylmethionine and Silybin. Because pets with liver disease commonly suffer from a poor appetite and weight loss, they should eat a palatable, nutritionally dense food made from healthful ingredients. A reduced level of protein helps patients that have begun to suffer from hepatic encephalopathy.